The BIP combines an assessment of both work style and motivation and was originally developed in Germany over ten years ago following research into personality at work, with input from HR professionals. It is particularly applicable for board executives and middle to senior managerial levels. 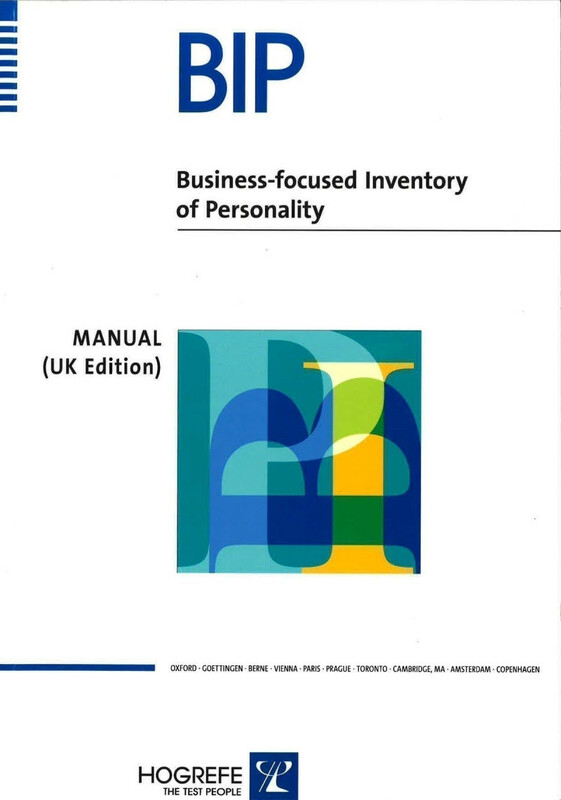 The new Business Focused Inventory of Personality 6 Factors is now available! English, German, French, Czech, Danish, Slovak, Italian, Dutch and Russian. The UK standardisation was carried out in 2007 under the direction of Professor John Rust. The result is a practical, work-based questionnaire that is valuable for use at senior managerial levels. The self-report questionnaire (Form S) is complemented by a version of the questionnaire that can be completed by others (Form O). This provides a useful insight into the impact of behaviour on other people and, as such, makes for a rich source of information in a development setting. Occupational Orientation – assessing work-specific motivation, this domain considers what motivates respondents in planning and shaping their career path and what they value in a job. Occupational Behaviour – assesses the typical approach to work. Social Competencies – this domain describes the style of interacting with other people. Psychological Constitution – this domain seeks to describe how the demands made by a range of tasks at work, impact on a person's resilience and experience of emotional pressure. In addition, the BIP has an ‘Impression Management’ scale which assesses an aspect of the test taker’s approach to the questionnaire and enables the test user to obtain, to some extent, the extent to which respondents are emphasising more or less positive aspects of themselves. The supplementary Observer-Rated Version (Form O) is a short, 42-item questionnaire which can be used by observers to rate the test taker on the 14 dimensions of the BIP. For the sake of time efficiency, in Form O, each BIP dimension is addressed with just three items. Form O has not been normed as a metric in its own right. It is exclusively a reference or support tool which provides some useful information about divergence between self-image and public image which might be discussed in coaching conversations or in team development contexts.